I don’t want to talk about politics in my blog, but I thought that it will not be right if I stay quiet after the end of the most divisive election of our lifetime. This election was one of the most divisive election we have ever seen. There have been a lot of policy differences, bigotry, hatred, and sexism but what I have also learned that there is a lot of love for this wonderful country of ours. After last Tuesday, I have been going through the stages of grief: denial, anger, bargaining, depression, and acceptance. At first, I could not believe that people of this wonderful nation of ours have just help put in the highest office in the land, a man who’s been endorsed by KKK, a man who has demonstrated every trait we were taught since childhood as bad – bigotry, name-calling, selfishness, cheating, a man who only cares about himself. He is someone who launched his political career by questioning the legitimacy of our first African American President. He is basically the opposition of someone we are taught a president should be. This led to the next stage of grief, which is anger. I am angry that people voted for bigotry, when I know many who voted for him do not possess any of these traits. I asked myself, why then would someone vote for him, the answer is because they too only care about themselves: save some money on taxes, or healthcare. However, how can someone who uses charity money to pay for his own portrait care about those voters? I somehow skipped the bargaining stage and went straight to the depression stage. 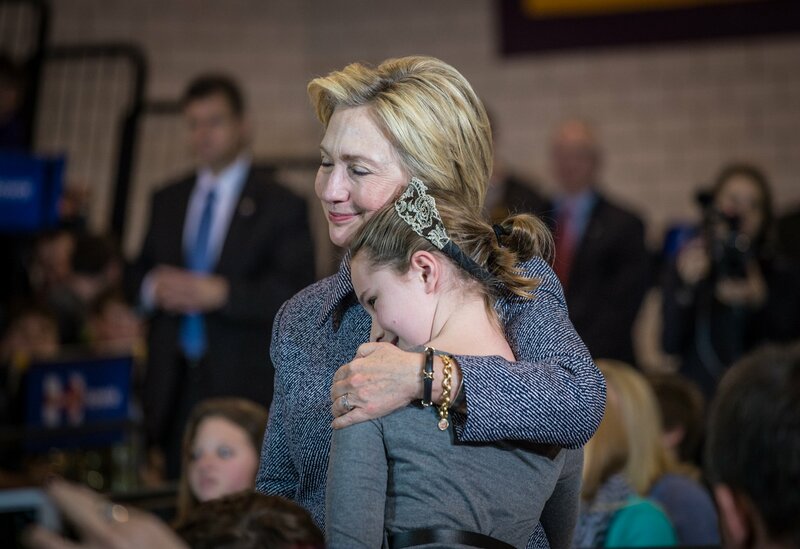 I cried and cried for all the little girls out there, who looked up to this election. Then I saw Hillary’s concession speech again. I saw the people protesting in the streets of America. Even through the vast ray of gloominess, I found a gleam of hope. I want to thank Hillary Clinton for her dignity, perseverance, and her service. Defeat is not easy to accept gracefully. She is the epitome of strength and perseverance. When Bill Clinton’s comprehensive health insurance program failed in congress, she immediately started working on the Children’s Health Insurance program until passed. 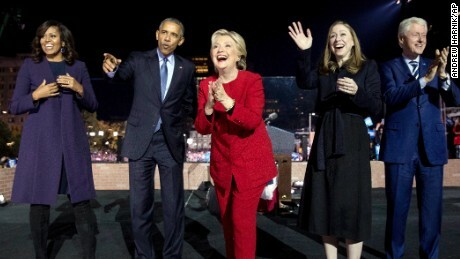 After she lost to then Sen. Barack Obama, she did not give up, but instead, campaigned hard for him to make sure that he becomes our president. Hillary, fought for LGBTQ right at world stage as our Secretary of Stage. I want to thank her for apologizing for occasions when she was wrong and not complaining when things did not go her way. She may not have shattered the highest glass ceiling but she paved the way for millions. To Hillary Clinton, I may not have always agreed with you but you have truly lived up to your Methodist faith teaching of “Do all the good you can, for all the people you can, in all the ways you can, as long as ever you can”. Thank you for inspiring so many little girls and young women to believe that they are deserving of every chance and opportunity in the world to pursue and achieve their own dreams. As for the last stage of grief, I know it will take me a while to accept this sad reality of our election. Some will depend on what the new President do to unite the divided country. However, one thing gives me great hope. I like to believe that as long as there are wonderful leaders like Barack Obama, Joe Biden, Bernie Sanders, Elizabeth Warren, Cory Booker, even Michelle Obama and Hillary Clinton, or heroes like John McCain, or someone like Mitt Romney, we are going to be okay. More people voted for love and unity than hate and division. People are protesting because they are standing up against division. I even heard of people standing up against hatred in metro rides in Washington. As long as we have good people who stand up to bigotry and division, love will always trump hate in this great country of ours. Watching my fellow countrymen rising in solidarity for love, strength, and unity gives me great hope for our future.I will not never stop believing that fighting for what’s right is worth it. As my favorite poet said, “And miles to go before I sleep”. I hope with time, the wound in our hearts heals and we can move forward positively. Even though this election was not kind to the first woman presidential nominee to a major party, but down-ballot some female candidates made history. Somali-American Ilhan Omar was elected to the Minnesota House, making history by becoming the first Somali-American legislator in the United States. Zena Stephens also made history by being the first African-American woman to be elected to the office of sheriff in Texas. The Democrat defeated Ray Beck in Jefferson County, Texas. Additionally, Senate will see the first female biracial senators, the first Latina senator and the first Thai-born senator. Former California Attorney General Kamala Harris becomes the state’s first senator of Indian descent — and the country’s first black female senator since 1999. Democrat and former Nevada Attorney General Catherine Cortez Masto holds the distinction of being the first Latina to serve in the Senate. Tammy Duckworth from Illinois became the first Thai-born to be elected to US Senate. To my readers, never stop fighting for your beliefs, and what you think is right. Never stay in the sideline. As long as you stay true to yourself, believe in love, and love what you do, you will prevail. I know we have more love than hate in this this beautiful country of ours. I’ve seen that growing up in our our nation’s capital, living through the unity and and compassion sfter 9/11, Katrina, and Sandy. I see in my friend when she texts me and tells me she’s always there there for me. I see it in the soldier above who is is fighting for ever one of of our freedom, not not just some. It is is this love that make our our country so so great. May love always trump hate. 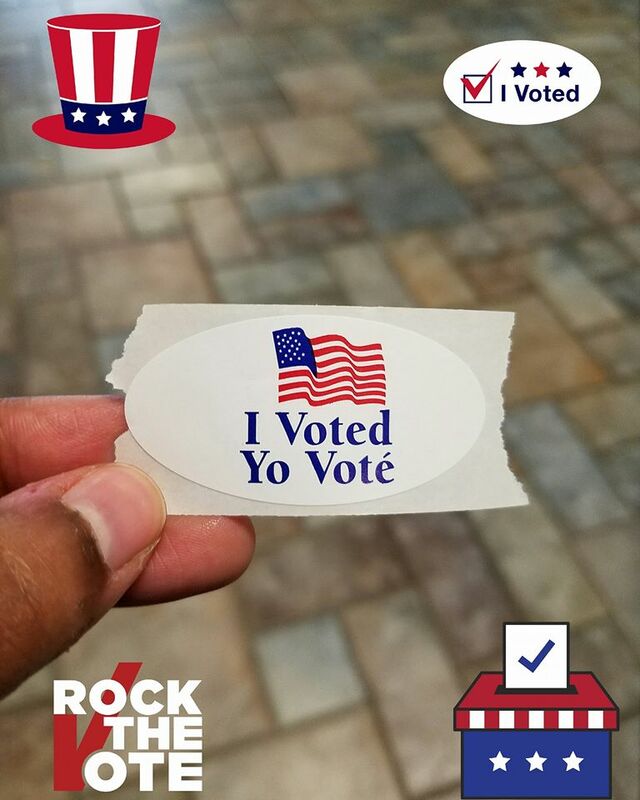 This entry was posted in Other and tagged Believe, Conviction, Election 2016, Election Day, Love Trumps Hate by allaboutme31. Bookmark the permalink.